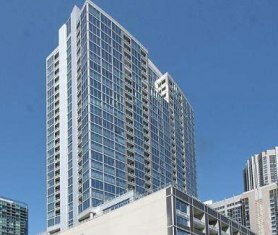 240 East Illinois is a newer construction, contemporary condominium building located in Chicago’s Streeterville neighborhood. Also known as The Fairbanks at Cityfront Plaza, 240 East Illinois offers condo buyers loft units, terrace homes, Fairbanks residences, and approximately three floors of spectacular penthouse residences. Building amenities at 240 East Illinois include an on-site Whole Foods Grocery Store, 24hr doorman, state-of-the-art exercise room, a club room with bar and pool table, business center, dog friendly area, beautifully landscaped garden terrance, outdoor pool and sun deck. For more information on the condos for sale at 240 East Illinois or other luxury downtown Chicago real estate for sale around the Streeterville neighborhood, contact Abby with Gold Coast Realty at (312) 280-9600. 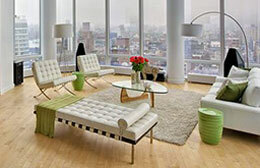 Renee with Gold Coast Realty was extremely helpful. I was relocating from Pittsburgh to Chicago and Renee was extremely helpful in assisting me. She was extremely…	Matt M.